The HW Flames 5-pack changed country of origin. Previously they were made in Thailand and currently coming from made in Malaysia. Checking to see if others have changed, I found Dragon Blast 5-pack also is coming out of Malaysia. 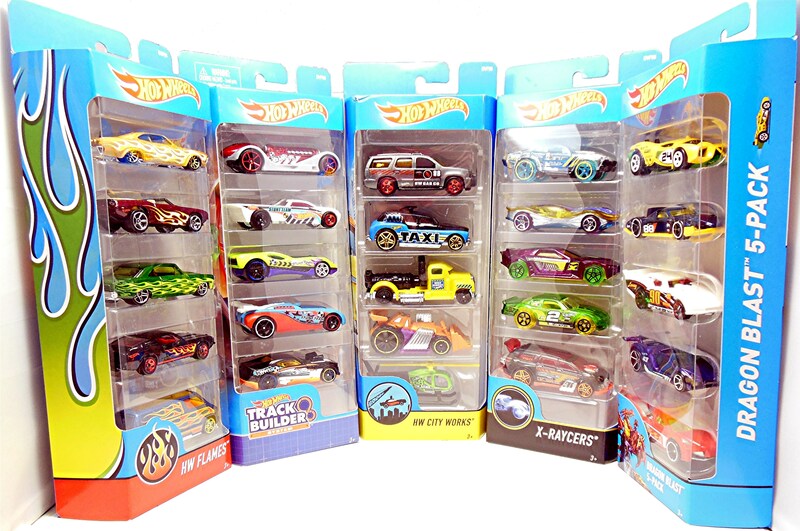 Continuing my search for other differences I notice two more 5-packs the Track Builder Systems and a new X-Racers. I was surprised to find them being made in Indonesia (Idon). I believe that this is a new manufacture for Hot Wheels cars by Mattel. Lastly there was another new 5-pack called HW City Works, which includes one of my favorite casting the Cockney Cab II. Keep an eye out for other change of manufactures and Check out all the new 5 packs along with other 5-packs from 2017 here.